“I showed that I didn’t want to hurt her even after she bit me ... I acted like a gibbon that wants to make a friend." 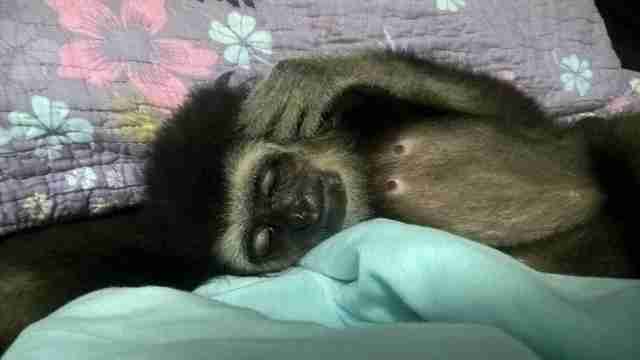 When Mariani Ramli first laid eyes on Betsy, the baby gibbon was cowering in the corner of a plastic fruit basket. 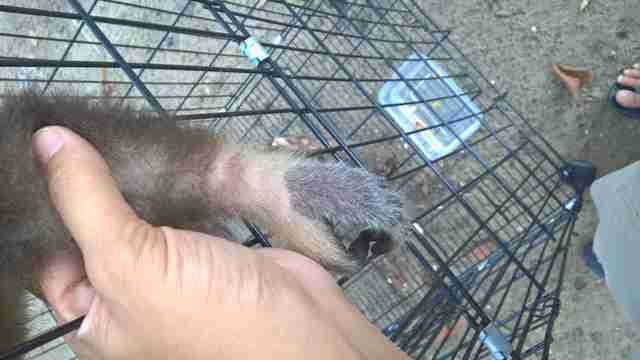 Betsy had been kept in there for over five months, and she was malnourished, weak and very scared. 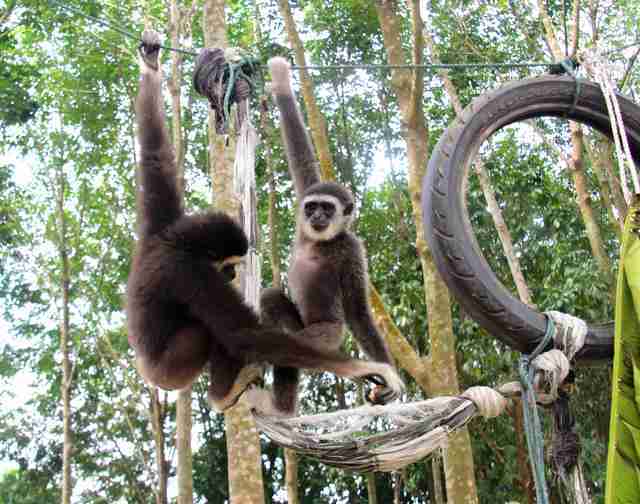 Ramli learned about Betsy in 2015 when a stranger came to visit her gibbon rehabilitation center, which Ramli runs out of her own home in Peninsular Malaysia. At first, Ramli didn’t really know why the man was there. The man left as mysteriously as he arrived. But then, a few days later, he returned to tell Ramli about Betsy. 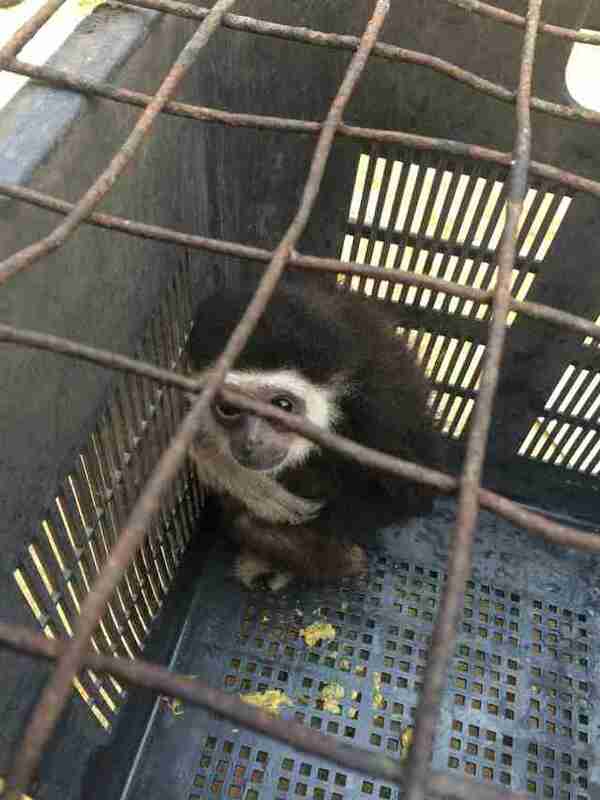 “He said there’s a gibbon being kept in a basket at his friend’s house,” Ramli said. Ramli and a friend hurried to get Betsy as quickly as they could. 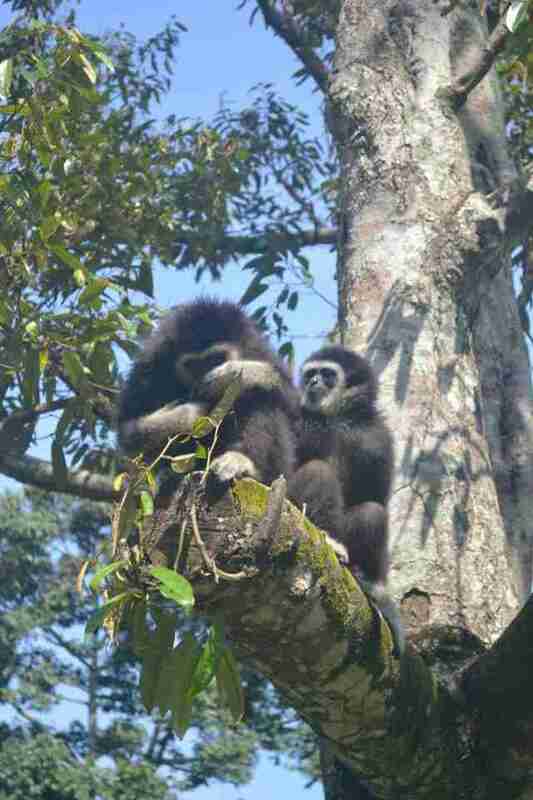 Not only was Ramli worried about Betsy’s welfare, but she knew it was illegal for anyone to keep a gibbon this way. In Malaysia and other parts of Asia, gibbon populations are plummeting, and at least three types of gibbons — white-handed gibbons, dark-handed gibbons and siamang gibbons — are considered to be endangered species. 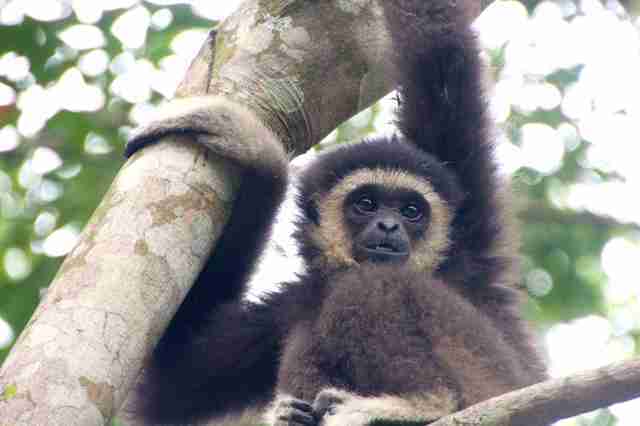 Yet gibbons are frequently captured from the wild and sold as pets, even though it’s against the law to do so. But Betsy wasn’t being kept as a pet — the people holding her had actually planned to eat Betsy when she got older and bigger. Ramli learned that they’d already killed and eaten Betsy’s family members, which is how they got Betsy in the first place. “She’d have witnessed the killing of her parents,” Ramli said. After watching her parents die in this horrendous way, people shoved Betsy into the fruit basket, and secured it with a heavy metal grate and a few bricks. But Ramli worked hard to gain Betsy’s trust, and took Betsy to her rehabilitation center to help her get better. After spending time in quarantine and receiving medical treatment, Betsy was given access to a bigger enclosure — but she was initially too scared to move. 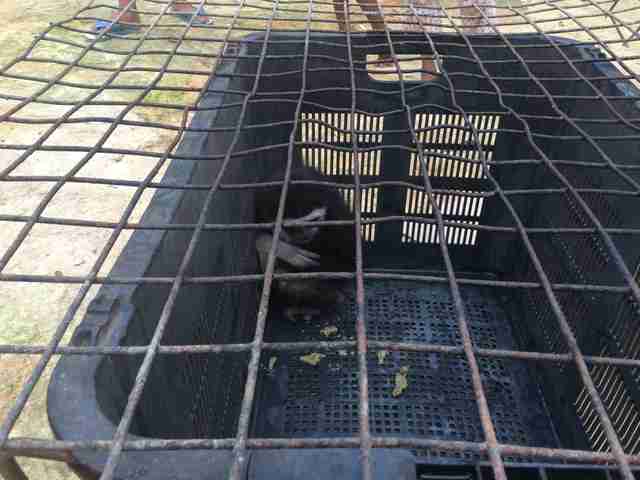 “For few days, she just stayed inside the cage even with the door open,” Ramli said. But when Betsy finally ventured out, she met other rescued gibbons, including Lola, another orphan who was once kept as a pet. It didn’t take long for Betsy and Lola to become as close as sisters. Now they climb trees together, groom each other, take naps together and share water and food. If one of them ever needs something, the other is always there to help. Ramli is optimistic that Betsy and Lola will be able to return to the wild someday, and that they’ll help each other survive — but they still have more skills to learn before they get to that point. 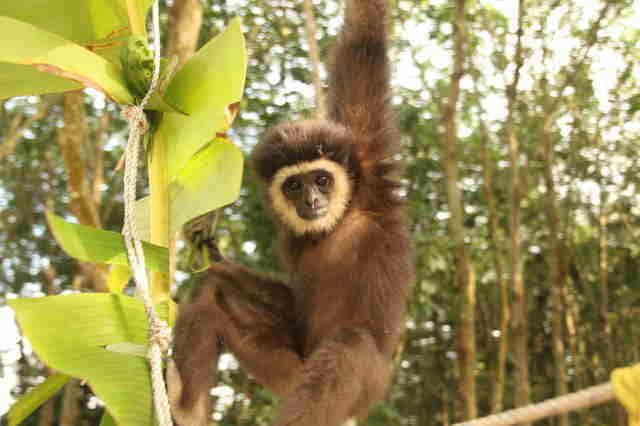 While Betsy and Lola were lucky to be rescued, other endangered gibbons desperately need help. Ramli explains that everyone can play a role in protecting these animals. 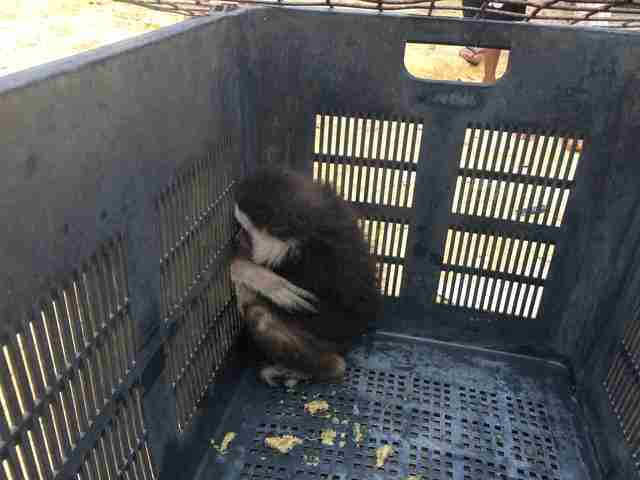 “Every time they see people selling primates as pets, or see people with gibbons at home, report [it] to the authorities, [and] educate the sellers and pet owners,” Ramli said. 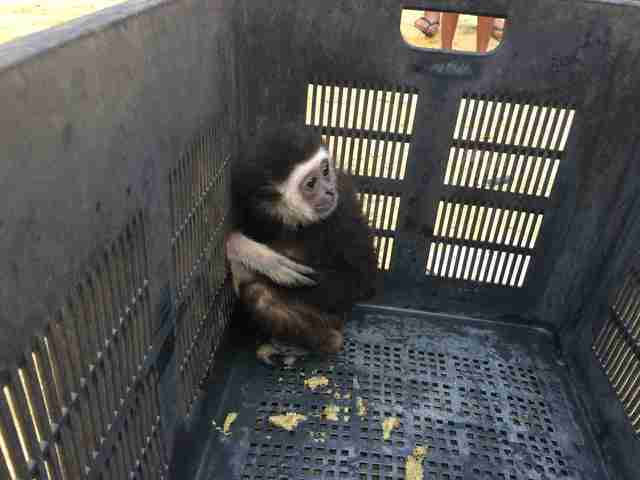 To help rescue more gibbons like Betsy, and to spread awareness about the illegal pet trade in Malaysia, you can make a donation to the GPSM.